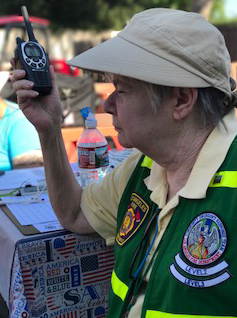 North Hills West Neighborhood Council was part of a brief, but successful disaster drill the morning of Saturday, July 8, 2017. 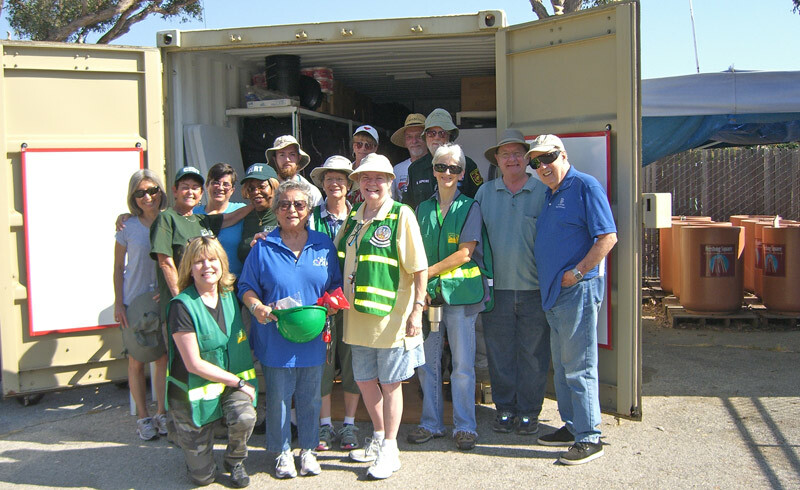 Emergency Preparedness advocates gathered at the the supply bin on the Woodley Lakes Golf Course and practiced opening the bin, deploying resources, and setting up emergency communications. The bin is strategically located across the street from Balboa Park, where several thousand people camped out after the 1994 Northridge earthquake. In an emergency, the volunteers anticipate this facility serving as a clearing house for information and supplies. 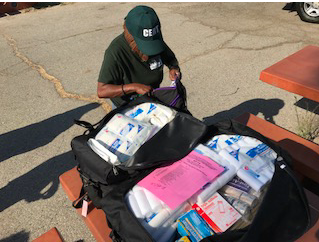 The first aid contents and rescue resources are available to CERT (Community Emergency Response Team) trained civilians and LAFD and LAPD first responders. 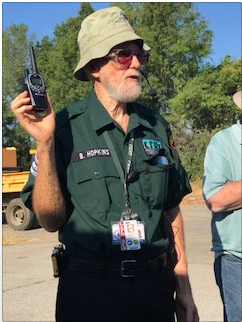 Interested in being CERT trained? Check the CERT training list site for a class near you. Stay tuned for a CERT 3/EMR class coming here in September.